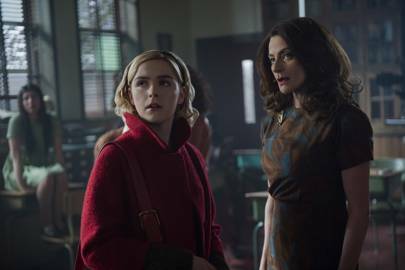 The Chilling Adventures of Sabrina will officially premiere on Netflix on October 26th – so if you haven’t started watching it already, what are you waiting for?!? 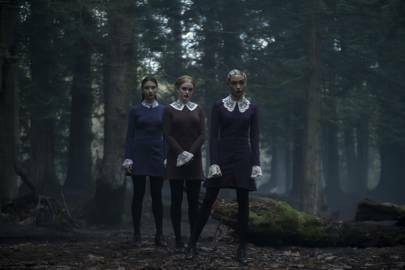 The original series was largely all sweetness and LOLZ but this time around, Sabrina isn’t messing around. 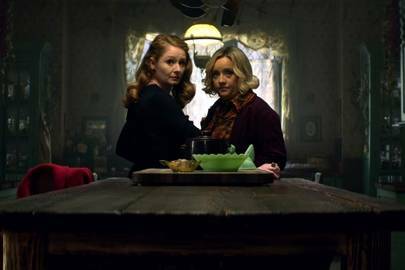 Netflix have cited full-on horror references for the show, stating: “tonally in the vein of Rosemary’s Baby and The Exorcist, this adaptation finds Sabrina wrestling to reconcile her dual nature—half-witch, half-mortal—while standing against the evil forces that threaten her, her family and the daylight world humans inhabit.” If the trailer is anything to go by, you might be watching this Netflix series from behind a pillow. 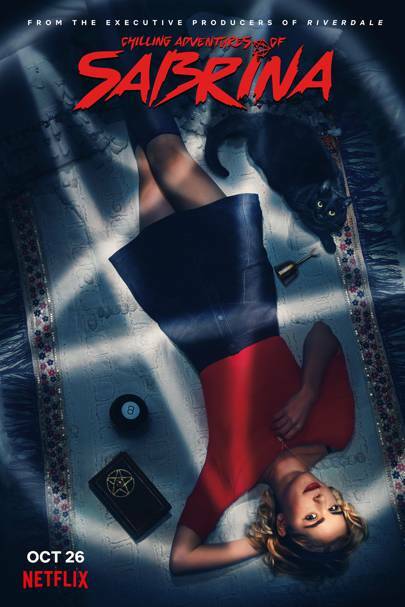 Who plays Sabrina in The Chilling Adventures of Sabrina? Netflix gave the show a straight-to-series order of two seasons – a rarity in the fluxuating TV market! The cast are already back at work shooting the second season, so fingers crossed we won’t have to wait long for the second batch of Sabrina action. We all had a little crush on Sabrina’s BF, Harvey, back in the day and the character is returning for the reboot, too. This time around he will be played by Ross Lynch of Disney Channel fame. It isn’t rare that there is some beef between original series stars and reboots. Speaking to Entertainment Weekly earlier this year, Melissa said: “I think they’re doing it in a smart way—change it up, don’t make it the same. If you’re going to do the same show, it probably would fall on its face, but I think what they’re doing is probably the smartest way to reboot something.” Green isn’t a good colour on anyone, after all.